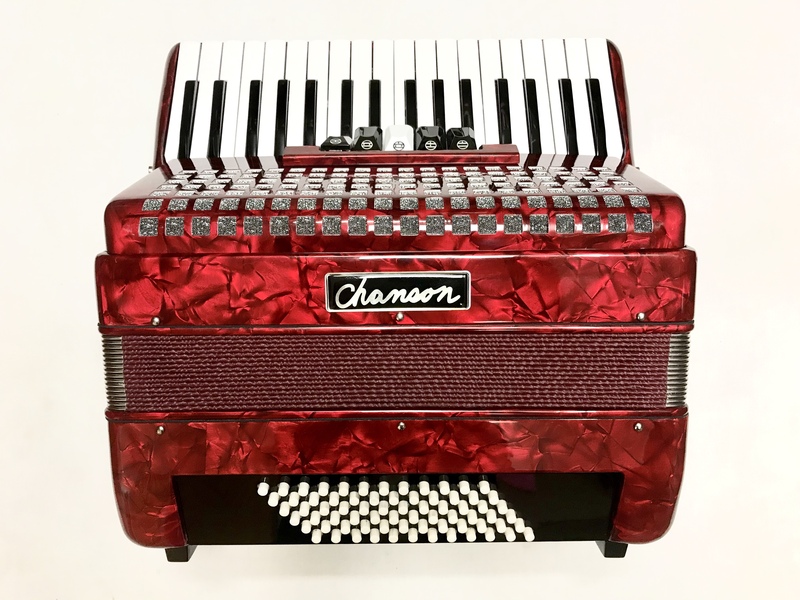 This popular Chanson 72 bass accordion is an ideal starter instrument for learning on or for use as a second accordion for traveling with etc, or even just as a spare instrument. 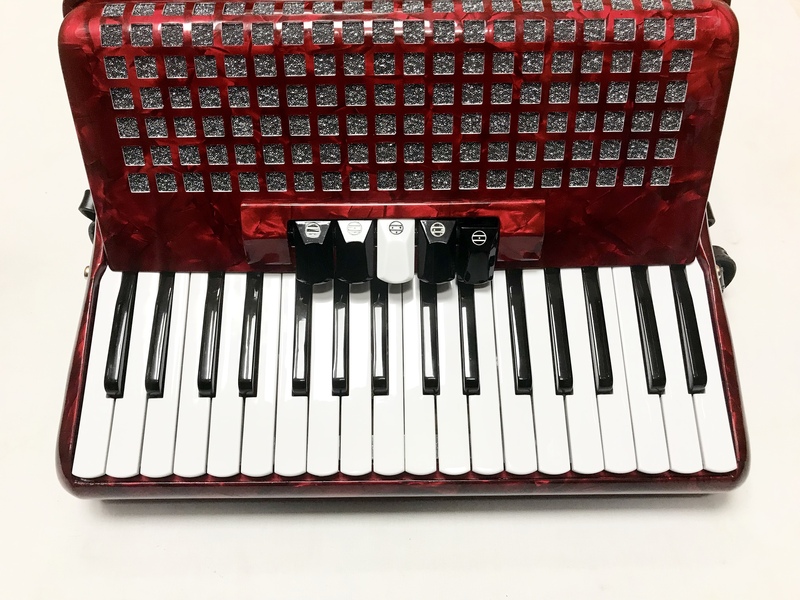 This lightweight and compact Chanson 72 Bass Accordion with 72 bass buttons 34 treble keys is a very popular model and features include a three voice tremolo tuning with five treble couplers, which make this accordion ideal for all styles of music. 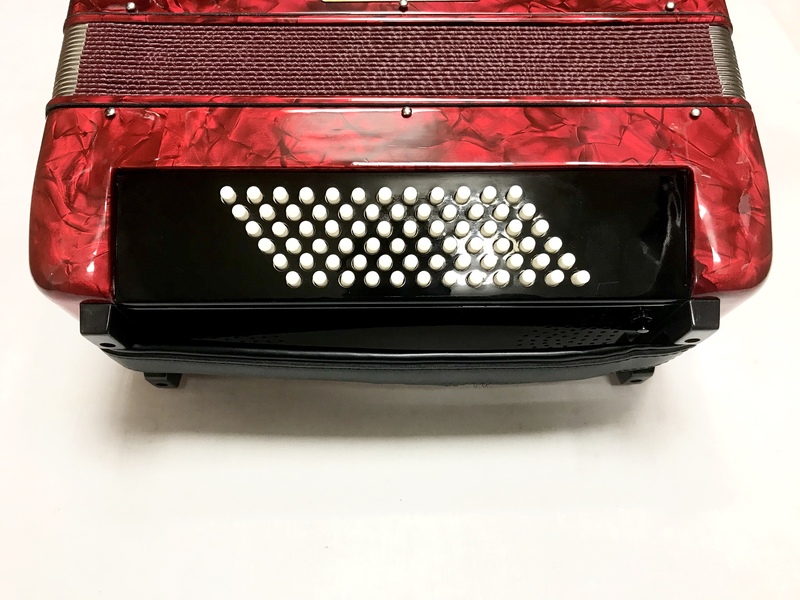 Finished in a choice of either a very attractive pearl red or high gloss black. 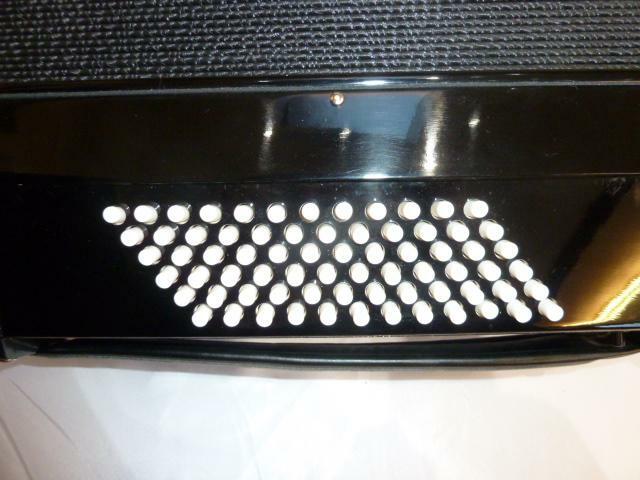 Please check with us for our latest stock level and availability. 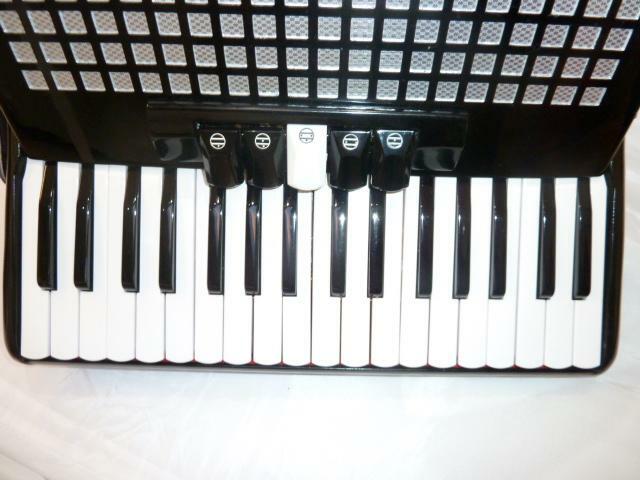 A 0% interest free loan is available on this Chanson 72 Bass Accordion subject to status via the Arts Council. Terms and conditions apply – please contact us for full details. 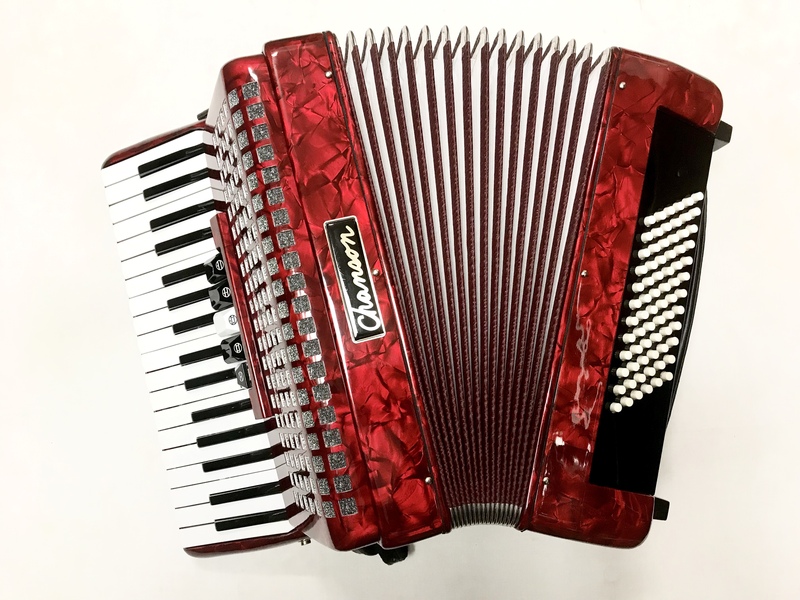 Complete with your choice of either a soft gig bag or a hard case, padded shoulder straps and a full one year component parts guarantee. 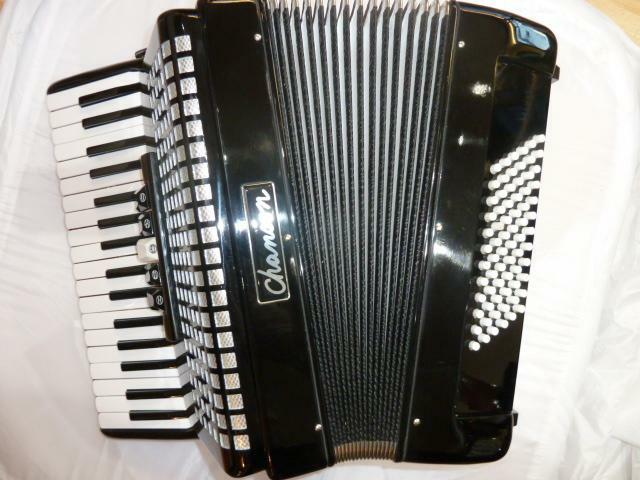 Don’t forget, free delivery of this Chanson 72 Bass Accordion to most parts of mainland UK is included! Weight: 7.26 Kg. - 16.5 Lbs.